Let’s face it: for many people, buying spices feels as mundane as buying socks, a slightly annoying chore that brings little to no joy into your life. And once spices are in the cupboard, they tend to stay there gathering dust. With a mission to change that perception, transform how we think about spices, and show the huge difference that they can make, Germany-based Just Spices brings a delicious new approach to American shores, with 20 organic spice blends and two everyday essentials, available exclusively through its website, www.justspices.com. 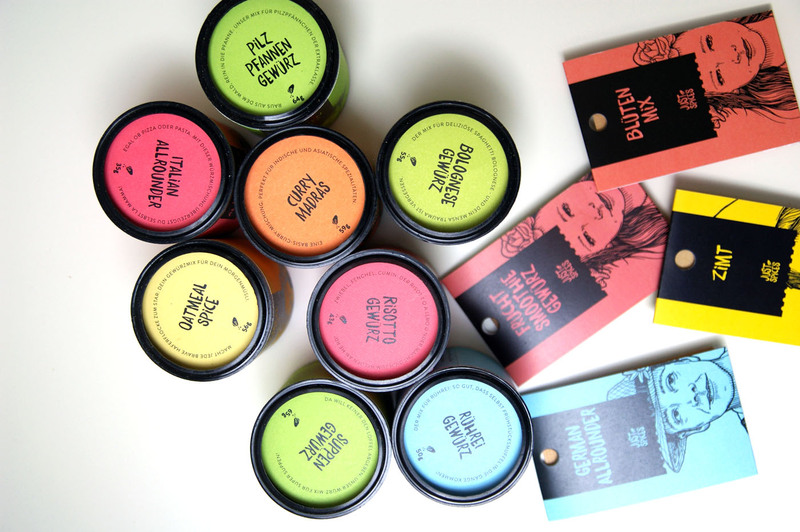 Just Spices has gained throngs of enthusiastic consumers across Europe since its founding in 2012, when university friends Florian Falk, Ole Strohschnieder and Bela Seebach realized that there was a significant unfilled niche within the spice sector. With the aim of seeking out the best, most authentic spices, the trio set out to travel the world, visiting home chefs everywhere and cooking local dishes with them – from trading secret pasta recipes with an Italian “mamma” in a medieval town just outside Naples, to celebrating backyard BBQ parties with a meat-loving Texan family, to learning the authentic Mexican way to prepare guacamole. Taking inspiration from that trip to create many of the spice blends they offer today, the Just Spices founders experienced first-hand that there truly is a story worth telling behind every spice. In line with that mission to bring the most authentic spices into people’s kitchens, many Just Spices labels feature illustrations of the real people that inspired the products. In Tulum, Mexico, the founders cooked with a local family and learned some traditional secrets from its matriarch, Rocio: from the best way to cut soft veggies for guacamole to the most effective remedy if you’ve eaten something extremely spicy (salt, lemon juice and bread). During their road/boat trip from Rome to Sicily, Florian, Ole and Bela got to cook with local chef Lucia, who runs an “open-on-demand” restaurant and only cooks for people that she likes. Showing them how she makes one of her signature pasta recipes, her guidance was integral in helping them develop a quintessential Italian spice blend ideal for a variety of pastas, meats and vegetables. During the U.S. leg of their world spice tour, the trio went into the heart of barbeque country, Texas, to cook with a barbeque aficionado, who brews his own beer and hunts for his own meat. During a backyard cookout, he and his wife shared expert tips for grilling steak and chicken, as well as a secret family recipe for a BBQ spice blend that’s been passed down from generation to generation. 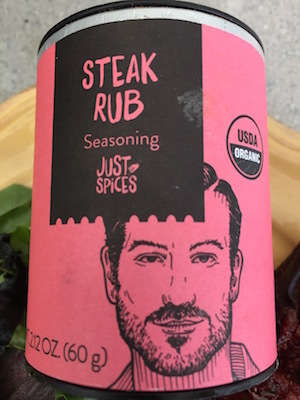 Consequently, illustrations of these and other people can be seen on Just Spices blends – from Italian mamma Lucia on Flavors of Italy to Rocio from Mexico on Guacamole Seasoning. Other blends offer playful archetypes, like “The Mermaid” on the label for Murray River Salt. Their unique and colorful product design encourages home cooks to showcase Just Spices containers on the counter instead of forgetting them in a dusty cabinet. Another reason to leave them out: stackable, opaque canisters protecting spices from the sun, complemented by aroma-tight and recyclable paperboard and aluminum-lined packaging that maximizes freshness. Following their vision to offer only the freshest, best, full-flavored spices sourced from around the world, all Just Spices products are certified USDA organic, with no flavor enhancers, each a standard 100 milliliters (between .88 to 3.17 oz. in weight) and ranging from $5.99-$7.99. In addition to their unique design and commitment to high-end quality (the company cannot deny its German roots after all! ), a huge part of the Just Spices mission is ”spicy education.” On its website and social media pages, the team offers recipes, photos and videos showing how their spices can be used in delicious recipes for adventurous palates to discover, making it even easier for people to start experimenting with new flavors and spices. Detailed information on the flavor profile of each blend can be found on the website. From off-campus college students experimenting with spices for the first time to gourmands looking to up their game, a robust “spice community” has grown across Europe through the company’s original sites, sharing ideas and creative recipes, and will soon be extended to U.S. consumers. In Europe, after four years in business, Just Spices today offers close to 120 spices and around 100 unique house blends, and ships to more than 30 European countries, with a growing retail presence and a strong social media following. Now, Just Spices is finally coming to the U.S. with the vision to transform how customers “on this side of the pond” feel about spices as well. Just Spices’ U.S. portfolio offers a diverse selection of spices – including options for sweet breakfasts and savory dinners, blends for meat lovers, vegetarians and omnivores alike. The initial 20 U.S. house blends comprise BBQ Popcorn Seasoning, BBQ Seasoning, Extra Spicy Seasoning, Flavors of Italy Seasoning, Flavors of Mexico Seasoning, Guacamole Seasoning, Hickory Rub, Oatmeal Spice Blend, Pancake Blend, Pizza Seasoning, Pork Rub, Savory Eggs Blend, Seafood Rub, Smoothie Boost, Spicy Garlic Blend, Spicy Popcorn Seasoning, Steak Rub, Sweet Potato Seasoning, Texas BBQ Dip Seasoning, and Vegetable Broth Seasoning. In addition, Just Spices makes the ordinary extraordinary, offering salt and pepper – the two essentials that no kitchen can do without – with a twist: Murray River Salt, lovely pink flakes from Australia with a mild flavor, and crushed Tellicherry Pepper, a slight nutty variety sourced directly from India’s Malabar Coast.